After all I've said about becoming an author, do you still want to be one? Hi again to all my wonderful friends and followers. Of course you do. I knew going into this business that I couldn't help myself. I had to write. Then, I had to find a way to publish my writings. That meant writing quality stuff, things anyone would like to read. This.was an excellent novel. After finishing Bridgetown High, I was left with a feeling of nostalgia, of things that were and of things that might have been. Hard to believe it's the first novel this author has ever written, but it's a hell of a debut. The rating given is four stars, but it's really closer to a four-point-five effort. What Bridgetown High deals with is loss, guilt and forgiveness, along with the minutia of everyday life for a high school student in the 1960's--Mark. He's recently suffered the loss of his parents due to a horrific traffic accident--and the opening chapter really brings that loss into focus--and has to live with his grandmother. He also has to suffer being the odd person out at his high school, going from a somewhat preppy existence to a place in the boondocks, as it were, and dealing with the local riffraff. And he has his heart set on the local girl who is fancied by the scumbag who ALSO happens to be Mark's nemesis in the novel. How's that for a coincidence? In lesser hands, it would have been obvious and pure melodrama. And while it's sort of convenient, Mr. West makes the most of a large cast of characters, showcasing them in sharply drawn portraits. Add in mystery, young romance, and the novel builds slowly but surely to a denouement that is satisfactory to all--or should be. In spite of the book's length--roughly 370 pages--it moves along at a solid pace, neither too fast nor too slow. The viewpoints from the various characters presented are fine, and while there are a few forgivable lapses in the narrative, overall, it's so solid that I can't really fault it in any way. I look forward to more of this author's work. 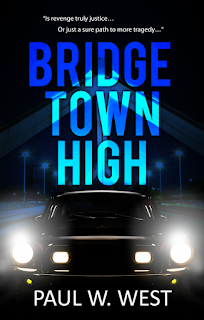 After reading Bridgetown High, I've had several people, tell me I need to write a sequel. I guess they loved my book that much. As I'm considering it, I'm reminded of some of the rules of beginning a novel. The opening paragraph, or at least the opening page, should plunge your main character into some kind of terrible trouble. I probably didn't do that all that well with Bridgetown High, but I fudged and made the opener a tear-jerker instead, with Mark pining for his lost family, and vowing revenge. So, if I do start a sequel, I need to keep that in mind, and it must also flow from the previous novel somehow. I need to quit for now, but before I go, I need to ask, have you "Liked" and "Shared" this blog post on Facebook yet, or "Retweeted" it on Twitter yet. Also have you signed up for my email letters on my Blog Site? I would love to see you there and have you introduce yourselves and give comments to my posts. 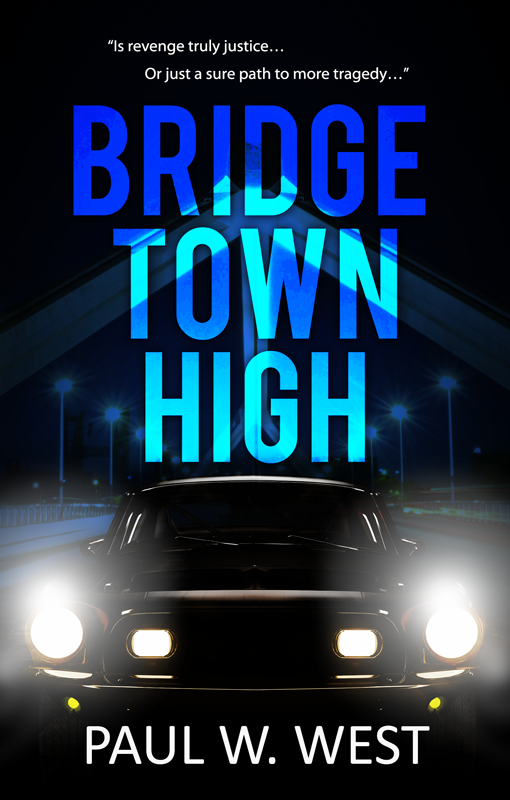 And also keep in mind "Bridgetown High" is still available on Amazon, Goodreads and Barnes&Noble. You can read some GREAT reviews on all of these sites. SO, DO YOU WANT TO BE AN AUTHOR? Hello to all my wonderful friends and followers. Sorry for being gone, but like I always say: "Sometimes work gets in the way of more important things like writing." So, to pick up where I left off. I think I was giving ideas about how to create a novel. Today, I'll talk about where did all my characters come from? Well, since Mark is the first character in my novel, the question is where did I get him and why did I make him the way he is? First, I did not want a clone of myself. I tried very hard to make him unique. He is not really the hero type, but he has his strengths and weaknesses that make him rather unique. I though about what kind of boy he should be. How old, something about his looks, his likes and dislikes, etc. At first, I think I had him too wimpy, so I went back through the manuscript that I had written so far and rewrote some scenes where he could be strong and aggressive, yet compassionate. I gave him some faults too like his anger issue and desire for revenge, lacking the capacity for forgiveness. I think characters don't ring true unless you give them weaknesses and faults to overcome. For example, Mark starts out angry. He wants revenge for his family's deaths. Throughout the book he struggles with that issue. In short, I had to ask myself, how would a seventeen year old senior in high school react to losing his entire family, except for his kid sister. Then, add to that, having to enroll in a new high school where some of the kinds hated him. So, where do you get your characters? If you're serious about wanting to be an author, you have to make your characters as real as possible. Before I quit for now, I need to ask, have you "Liked" and "Shared" this blog post on Facebook yet, or "Retweeted" it on Twitter yet. Also have you signed up for my email letters on my Blog Site? I would love to see you there and have you introduce yourselves and give comments to my posts. 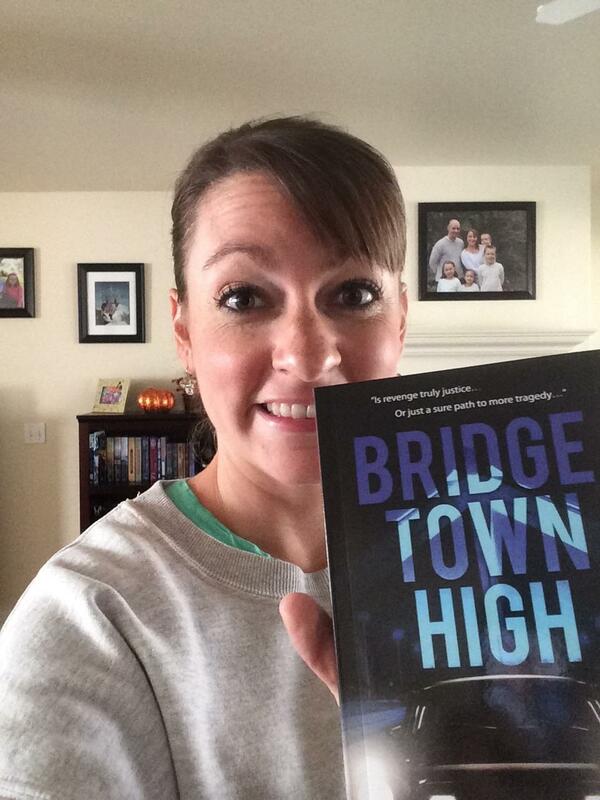 And also keep in mind "Bridgetown High" is still available on Amazon and Barnes&Noble. You can read some GREAT reviews on both of them. Greetings to all my faithful followers and friends. I have to apologize for not writing to you for almost 2 weeks. Frankly, I have no excuse (other than I have been sick in bed for most of it). But, now I'm back. Have you "Liked" and "Shared" this blog post on Facebook yet, or "Retweeted" it on Twitter yet. Also have you signed up for my email letters on my Blog Site? I would love to see you there and have you introduce yourselves and give comments to my posts. And also keep in mind "Bridgetown High" is still available on Amazon and Barnes&Noble. You can read some GREAT reviews on both of them. I think I ended my last post, explaining about how I began "Bridgetown High." If you remember I had a college professor who taught me to define a beginning and ending and work the story toward the two. I also read a book by Dean Koontz called "How to Write Best-Selling Fiction." It's a great book for anyone wanting to write best selling novels (though his methods in today's book markets are a bit obsolete. But back then (30 or so years ago) I started with trying to work out an opening scene. It needed to plunge my main character into some kind of trouble. My first idea was to have Mark sitting in his classroom, watching the clock tick off the minutes 'till the end of class. He is nervous. Sweat drops from his underarms and he hopes he's not going to be offensive when he asks Charisse for a date. It's kind of exciting, but after further consideration I felt that that was too far into the story and I needed to begin earlier. That's when I came up with the ending. I felt that would be more enticing, and at first I put it as the opening scene. Then, I still needed an ending, but I did come up with something you'll have to read for yourself (no spoilers allowed on this blog site). It was only at the insistence of my former critique group members, that I put the beginning at the end -- again, you'll have to read the book to know what I mean. 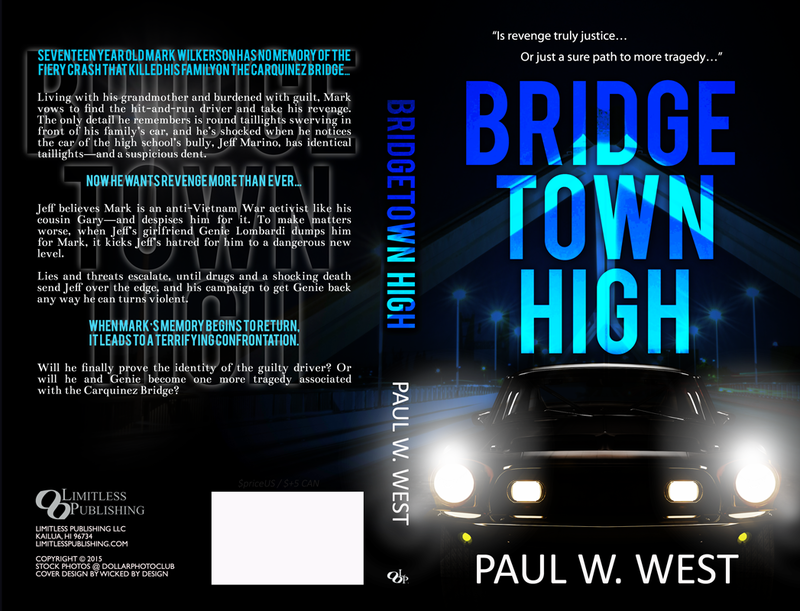 To say the least, "Bridgetown High" went through many revisions and edits before it was ready for publication.